Baskin-Robbins, the world’s largest chain of ice cream specialty shops, announced today its continued expansion in Ontario, specifically in the Greater Toronto Area with the signing of 18 new store development agreements with six new and existing franchise groups. The first Baskin-Robbins shop under these new agreements opened this summer. Currently, there are nearly 100 Baskin-Robbins locations throughout the Greater Toronto Area. Sulman Muhammad, with more than 16 years of experience in retail management and new to the brand, plans to develop 11 Baskin-Robbins shops throughout the Greater Toronto Area. Existing franchisees Sunita Patel and Jayant (Jay) Patel have teamed up with new franchisees Vivek Patel, Rahulkumar Patel and Nimal Patel to open three shops in Burlington. 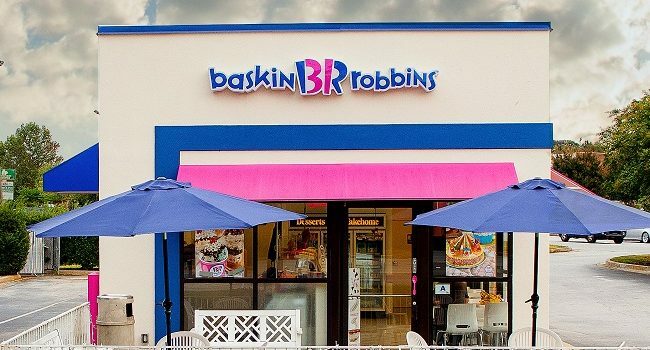 Existing franchisee Imtisal Kiran signed a new development agreement to bring one Baskin-Robbins to the southwest area of Toronto in addition to her existing location at Humbertown Shopping Centre in Etobicoke. Qais Hakeemi signed a single unit agreement to bring one Baskin-Robbins shop to the town of Ajax. New franchisee Lori Malavolta, along with her husband Frank Malavolta, will be opening a new shop in LimeRidge Mall Hamilton, along with their Kernels Popcorn franchise in the mall. Lu Tian, along with her husband Mike Pomerleau, recently opened a combo Baskin-Robbins and Kernels Popcorn location within the Rideau Centre shopping mall in Ottawa. 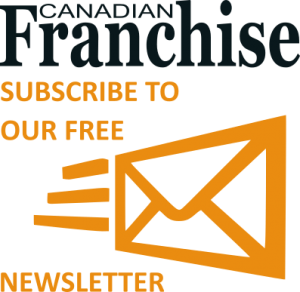 Franchise opportunities remain available in select communities throughout Canada. Baskin-Robbins Franchising Managers are available to speak with qualified candidates interested in developing the brand in Canada. For additional information, visit the Baskin-Robbins franchising website or contact the Baskin-Robbins Franchising Team at franchiseinfo@baskinrobbins.com or 781-737-5530. Named the top ice cream and frozen dessert franchise in the United States by Entrepreneur magazine’s annual Top 200 Food-Franchises in 2017, Baskin-Robbins is the world’s largest chain of ice cream specialty shops. Baskin-Robbins creates and markets innovative, premium hard scoop ice cream and soft serve, custom ice cream cakes and a full range of beverages, providing quality and value to consumers at more than 8,000 retail shops in 55 countries. Baskin-Robbins was founded in 1945 by two ice cream enthusiasts whose passion led to the creation of more than 1,300 ice cream flavours and a wide variety of delicious treats. Headquartered in Canton, Mass., Baskin-Robbins is part of the Dunkin’ Brands Group, Inc. (Nasdaq: DNKN) family of companies. For further information, visit www.BaskinRobbins.com.